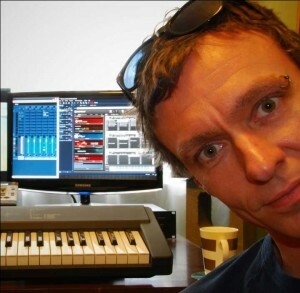 I am an AFI and Australian Screen Music Award winning screen composer known for my collaborative approach, efficiency and versatility across multiple genres and media. A classically trained pianist, I won the 2000 Annual Pete Carpenter Fellowship (BMI Foundation, NYC) and traveled to Los Angeles to work with Emmy and Grammy award-winning television composer Mike Post, where I composed music for Law and Order: Special Victims Unit and generally couldn’t believe my luck. Needless to say, this officially launched my film scoring career. Since then I have scored more than 50 films including features, documentaries and series, many of them highly acclaimed and awarded internationally, co-composed over 80 episodes of children’s television across 4 series, written for award winning short films, and even a prime time game show for Network Ten! My music has been heard locally on ABC1, SBS, Network Ten and internationally on BBC, National Geographic, Animal Planet, The History Channel, ZDF, Discovery, Netflix and many more. I have been nominated for six APRA Australian Screen Music Awards, winning ‘Best Music for a Documentary’ for Tiger Dynasty (2012) and ‘Best Music for a Short Film’ for Lucy Wants to Kill Herself (2009). I have also been awarded an Australian Film Institute (now AACTA) Award for my work on Rare Chicken Rescue in 2008, received an AFI nomination for my contribution to the acclaimed documentary A Thousand Encores: the Ballets Russes in Australia in 2010, and an AACTA nomination for James Cameron’s Deepsea Challenge 3D in 2014. In 2017 I concluded work on the 6-part Network TEN series Todd Sampson’s Body Hack also for Discovery Networks International, and the 2nd series was broadcast, also with my music, in 2018. 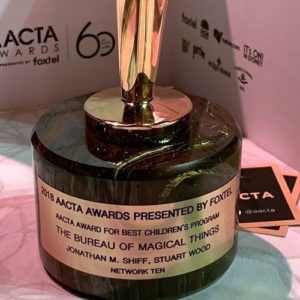 I also co-composed the international feature film The Longest Shot with multiple award-winning screen composer Burkhard Dallwitz (The Truman Show, The Secret River, Underbelly) and last year scored the worldwide hit children’s series The Bureau of Magical Things for Jonanthan M Shiff Productions, the creators of Mako Mermaids. 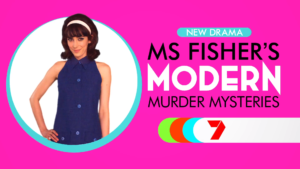 Most recently I co-composed the Channel 7 spin off Ms Fisher’s Modern Murder Mysteries with Burkhard Dallwitz and Dmitri Golovko. A spin-off from the hit original series Miss Fisher’s Murder Mysteries, the new series spans 4 x 2 hours telemovies and screens from Feburary.